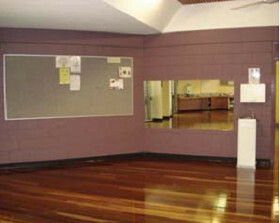 Venues for hire- halls, dance floors, theatres & community facilities. 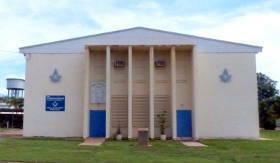 Venues available for all sorts of functions around Darwin, from small yoga groups to weddings and conferences. 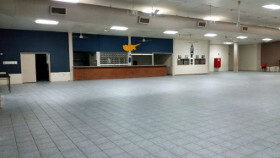 Not everyone needs or can afford the facilities provided by the Darwin Convention Centre or other large commercial venues and there are plenty of alternatives scattered around the CBD and suburbs. This list will take a while to build, so if you would like to include a venue you know of, please contact us here and we will add it to the list. 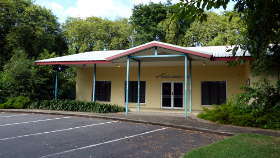 The Community Conference Room is located at the Woolworths end of the main mall. The entrance is via the corridor between Dymocks bookstore and the Pinnacle Cafe. The room is approximately 100 sq m and will fit up to 80 people comfortably. 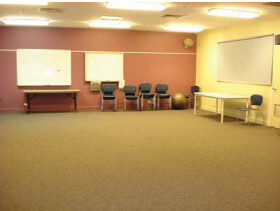 A carpeted, air-conditioned community meeting room suitable for up to 60 people. Disabled access and toilets are available at all times. 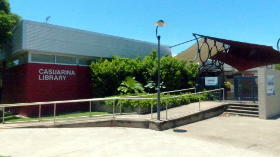 CDU SPORT is located in Building Green 2, Casuarina Campus, corner of Dripstone Road and Lakeside Drive. Located in a quiet area, this is an air-conditioned hall with a good dance floor and Kitchen facilities. 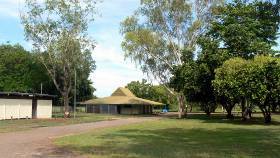 The function centre has been closed to allow establishment of a WWII Bombing of Darwin tourist attraction. Suitable for social gatherings and community group use. A no alcohol policy applies at this Community Centre. 2 rooms available with a fully fenced grassed outdoor area at the rear including play equipment, barbecue area and an undercover area. One air-conditioned meeting room is available for hire and accommodates 40 people comfortably. Tables and chairs, whiteboard and a kitchenette adjacent to the meeting room with an electric hot water urn, a fridge and microwave.